Our Garden salads are made from the freshest ingredients. Starting with a blend of crispy iceberg and romaine lettuce, fresh cut red onions, green peppers, and tomatoes. 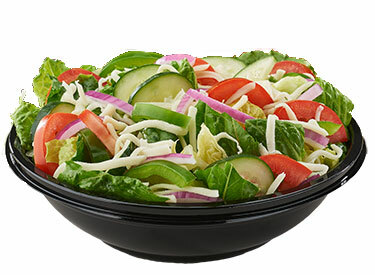 Topped with black olives and mozzarella cheese accompanied by your choice of dressing. Add grilled chicken or extra cheese for a small additional fee.